A federal grand jury returned an indictment today charging Harold Thomas Martin III, 52, of Glen Burnie, Maryland, with willful retention of national defense information. The indictment was announced by Acting Assistant Attorney General for National Security Mary McCord, U.S. Attorney Rod J. Rosenstein for the District of Maryland and Special Agent in Charge Gordon B. Johnson of the FBI’s Baltimore Field Office. “The indictment alleges that for as long as two decades, Harold Martin flagrantly abused the trust placed in him by the government by stealing documents containing highly classified information,” said U.S. Attorney Rosenstein. "The FBI investigation and this indictment reveal a broken trust from a security clearance holder," said Special Agent Johnson. "Willfully retaining highly classified national defense information in a vulnerable setting is a violation of the security policy and the law, which weakens our national security and cannot be tolerated. The FBI is vigilant against such abuses of trust, and will vigorously investigate cases whenever classified information is not maintained in accordance with the law." According to the indictment, from December 1993 through Aug. 27, 2016, Martin was employed by at least seven different private companies and assigned as a contractor to work at a number of government agencies. Martin was required to receive and maintain a security clearance in order to work at each of the government agencies to which he was assigned. Martin held security clearances up to Top Secret and Sensitive Compartmented Information (SCI) at various times, and worked on a number of highly classified, specialized projects where he had access to government computer systems, programs and information, including classified information. Over his many years of holding a security clearance, Martin received training regarding classified information and his duty to protect classified materials from unauthorized disclosure. 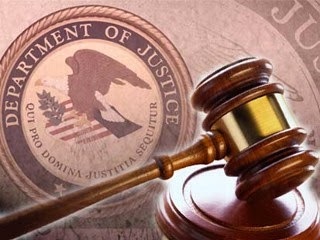 The indictment alleges that beginning no earlier than 1996 and continuing through Aug. 27, 2016, Martin stole and retained U.S. government property, including documents that bore markings indicating that they were property of the U.S. and contained highly classified information, including TOP SECRET/SCI. A Top Secret classification means that unauthorized disclosure reasonably could be expected to cause exceptionally grave damage to the national security of the U.S.
Martin allegedly retained stolen documents containing classified information relating to the national defense at his residence and in his vehicle. Martin knew that the stolen documents contained classified information that related to national defense and that he was never authorized to retain these documents at his residence or in his vehicle. If convicted, Martin faces a maximum sentence of 10 years in prison for each of the 20 counts of willful retention of national defense information. Martin’s initial appearance is scheduled for 11:00 a.m. on Tuesday, February 14, before U.S. Magistrate Judge A. David Copperthite in U.S. District Court in Baltimore. Martin remains detained. Acting Assistant Attorney General for National Security McCord and U.S. Attorney Rosenstein commended the FBI for its work in the investigation and thanked the Maryland State Police for its assistance. Ms. McCord and Mr. Rosenstein thanked Assistant U.S. Attorneys Zachary A. Myers, Nicolas A. Mitchell and Harvey E. Eisenberg for the District of Maryland and Trial Attorney David Aaron of the National Security Division’s Counterintelligence and Export Control Section, who are prosecuting the case.